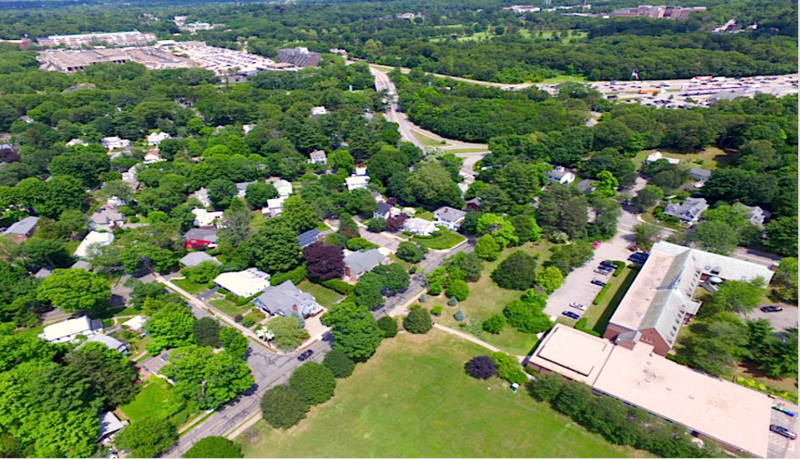 A birds-eye view of Newton Lower Falls, seen from above. Note the abundance of green space, low-rise houses, and Riverside station on top left. We are a neighborhood group concerned about development at Riverside. We oppose the current Mark Development proposal as too big, too dense, too tall, too urban, and inappropriate for this location. The proposal is for a mixed-use project that, if approved by the Newton City Council, would insert a high-rise, dense, urban, privately owned “village” between two low-rise historic villages — Newton Lower Falls and Auburndale. We urge you to learn about this project and tell our elected officials how you feel. To stay informed, sign up for updates here.